Disclaimer: *Volkswagen of America, Inc. will pay a $1,000 Summer Smile Bonus when you purchase or lease a new, unused 2018 Tiguan through participating dealers from July 10, 2018 to July 31, 2018. Bonus applied toward lease or finance contract and is not available for cash. May not be combined with Fleet Programs. 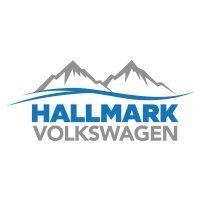 See Hallmark Volkswagen for details. Discount also includes a $2500 Hallmark Discount. Excludes sales taxes (vary by state) tag-title-license and dealer added options. Includes $489 dealer processing fee. May not represent actual vehicle if you see stock pictures. (Options, colors, trim and body style may vary).